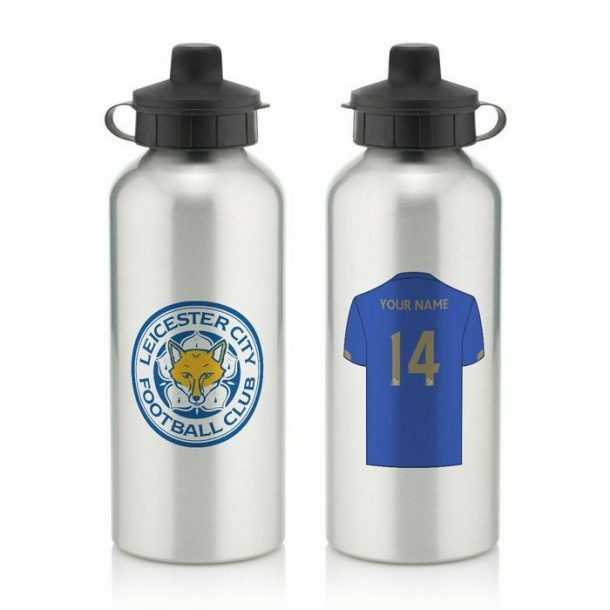 Keep yourself hydrated in style with your own Personalised Leicester City Water Bottle the personalisation makes sure you only drink from your own water bottle! Your official Leicester city water bottle will come complete with a choice of top and a spring hook so you can easily tie it to your backpack. A personalised gift that would make a great birthday or Christmas present for him.